A bridge replaces a missing tooth/teeth and is a commonly used alternative to a dental implant. A bridge consists of an artificial tooth (made of porcelain or resin/composite), which is anchored to the adjacent teeth. The natural teeth adjacent are fitted with crowns to provide strength to the bridge. Here at Paul Beath Dental we work alongside a high quality local dental laboratory, which manufactures the bridge. If the bridge is made in composite we create these onsite. On your first visit your dentist will take an impression of your upper and lower teeth (using a gel like substance) to make a record of their appearance and how your teeth sit in your mouth. The area is then numbed using local anesthetic and the adjacent teeth. 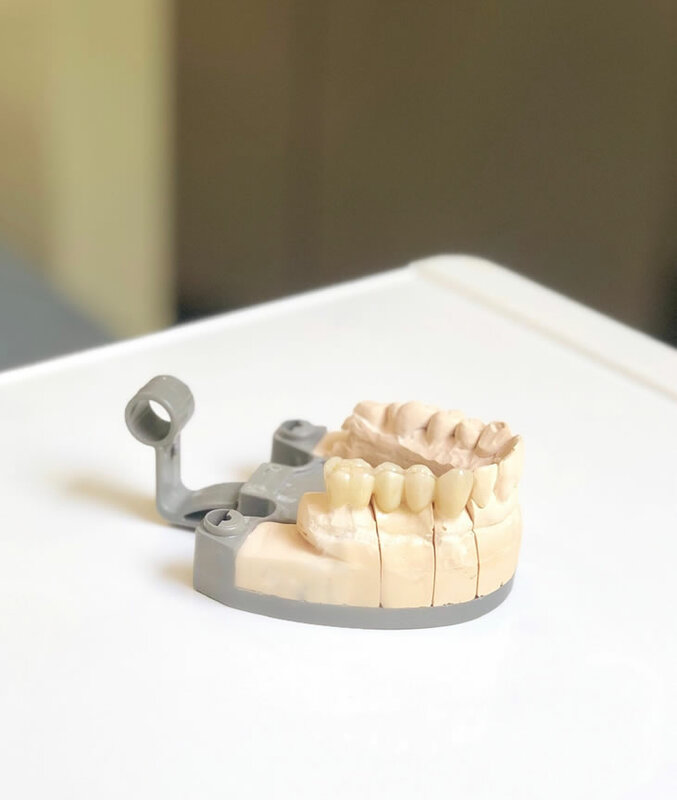 Another impression is taken at this point, which is then sent to the dental laboratory (for porcelain) or kept by us in resin to create. A temporary bridge is attached to the adjacent teeth while the final bridge is being made. At the second visit the temporary bridge is removed and the final porcelain or resin bridge is cemented on. Meticulous planning and skill by both the dental laboratory and us ensures correct fit of the bridge and longevity of the restoration. Correct care of your bridge is recommended, including twice yearly check – up and clean, along with twice daily brushing and flossing.